The fellas at On Your Six Designs produce a high quality, very affordable kydex IWB holster. They have a wide selection of firearm models and offer a lifetime warranty. The shipping is super fast and customer service could not be any better. One thing I really love about these holsters is that you can modify them to suit your specific style. You can change out the belt clip to a kydex belt loop. Not only that, but there are different sized belt clips that allow for a regular carry or a more deep concealed carry. The belt loops are sized for 1.5” or 2” belts so it can fit super snug. 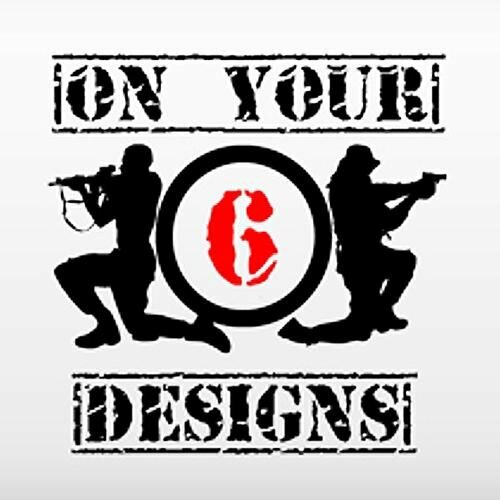 Additionally, On Your Six Designs produces 1 and 2 magazine spare mag pouches. These can be carried separately from the holster, or attached to the holster with some included hardware, to customize how you carry. Speaking of the hardware, I feel it is better than your average kydex hardware. Nothing super flashy, but not your budget rivets and screws that you will sometimes find on other holsters. I felt the OWB design concealed well because of the way it was curved. Some OWB kydex holsters are curved more than others and this helps with concealment. Again, a USA made product so that is a huge plus. Great quality and price that is sure to meet your needs.